Alex Castellanos is back tonight. 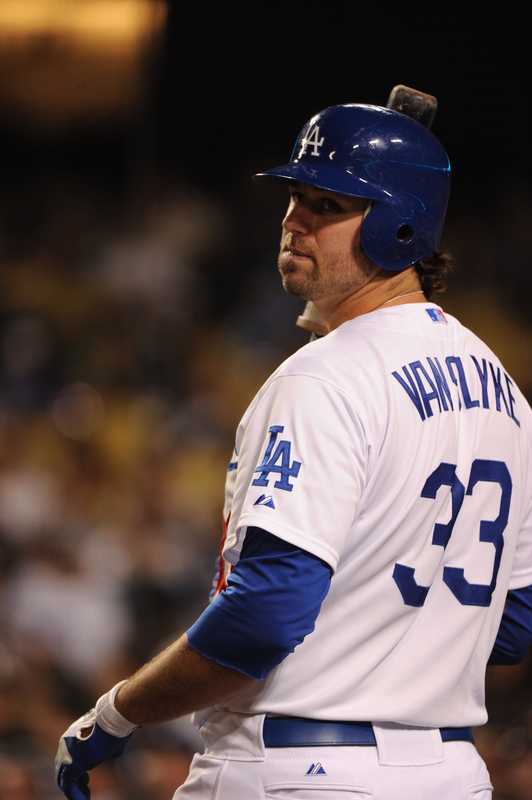 And Scott Van Slyke. And Jerry Sands. Hey, even Josh Fields, Luis Cruz, Trent Oeltjen, Matt Angle and Tim Federowicz are here too. It’s like a seven-game winning streak ‘Topes reunion. But instead of trading stories about how good they used to be, they’re going to make new ones about how good they actually are. “The nucleus of our club looks pretty close to what he had at the start of the season right now, and that’s a good thing,” Isotopes Manager Lorenzo Bundy said. That was the team that had six different guys batting over .300. Actually, that was the team that, as a whole, was hitting almost .300 (.289). They ranked second in home runs (20), third in RBI (111) and third in runs (119). They ate Powerbars for breakfast, lunch and dinner. And now they’re back, and presumably, better than ever. With three of the everyday starters having seen time with the Dodgers already, PLUS a lineup that features the scorching hot Brian Cavazos-Galvez, the ‘Topes shouldn’t have any problems in the near future. Except maybe fitting everyone into the lineup. Well, while they are here, I plan on thoroughly enjoying each and every day they crank up the bats. I plan on soaking in every box score that could easily belong to a football game: 7-3, 14-6, 21-0… A little too far? I think not. Go ahead and put us back on the fast track for the top rung. In the last week or so, the ‘Topes have moved from four and a half games back of first, to only one and a half. During the streak, as the big leaguers have begun to slowly trickle back to Albuquerque, the Isotopes have scored 10 or more runs in three of the four most recent victories. Oh yeah. I nearly forgot about the guys out on the mound for us, who, arguably, have been the biggest cause for the improved play. Between starters Fernando Nieve, Will Savage, Stephen Fife and John Ely, none of the hurlers have allowed more than four runs in their previous starts at home. And yes, that includes the rarefied air of Isotopes Park, which is not especially known for aiding pitching. “We’ve been getting really good pitching, and that’s been a key point,” Valentin said. Whatever you want to attribute our hot streak to lately, winning six of the last eight, it’s been vintage ‘Topes. Hitting. Scoring. Winning. It’s all coming together, much like the core of this season’s starting roster. However, the trick is going to be not chasing first place, just taking care of business day by day at the yard. And have some real roster issues. 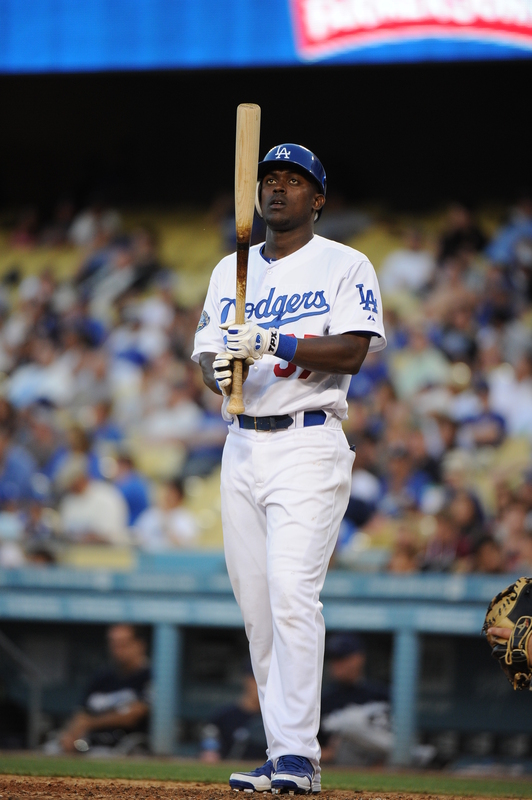 For nearly a decade Elian Herrera had played minor league ball. He spent almost ten years slowly advancing through the ranks; the Dodgers’ facility in the Dominican Republic, Rookie Ball, Single-A, Double-A, Triple-A, BACK to Double-A. He’d seen pitches at every level of the game, except the majors. Why should this season be any different? But that still doesn’t explain it. Why should the team with the best record in baseball find a spot for a guy that’s barely played a full season at Double-A? Why should he hit safely in 15 of 19 Major League contests? Why should he have three game-winning RBI already? Why should he, over five other players that were called up, make the cut instead of them? He also looked like he belonged with the Isotopes. 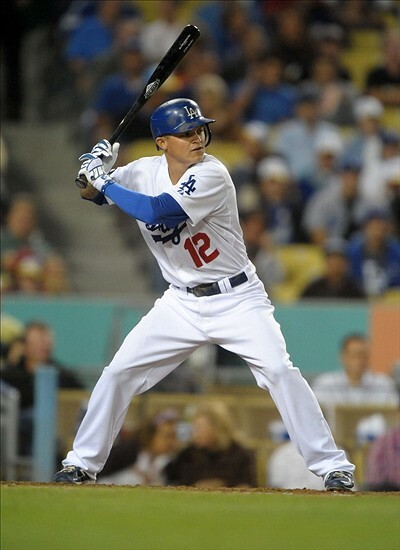 Before the call-up on May 14, Herrera was hitting .358 and on a 17-game hitting streak. He was a huge part of the ‘Topes’ winning ways, helping the team climb from the basement of the PCL American Southern Division to sole possession of first. Another thing that may have separated Herrera is his versatility. In 28 games with Albuquerque, he played six different positions on the diamond, and outside of catching or pitching, saw time everywhere except right field. At the plate, he mostly fit into the leadoff role but also had success batting in the bottom end of the lineup. He’s the definition of utility player, and with consistent numbers at so many spots on the diamond and in the batting order, finding playing time with the Dodgers wasn’t the point of concern for Herrera or Bundy. In return, Herrera’s been ripping shots off any and all Major League pitching. Last night’s victim was none other than three-time All-Star and Cy-Young award winner Cliff Lee. The lefty held the first-place Dodgers to only two runs on the night. Herrera’s line? A hit with two RBI. The greatest part of his story is that Herrera came out of nowhere and was picked up for almost nothing. When he signed with the Dodgers in 2003, he was inked with only a $15,000 bonus. As a catcher. And finally, it’s all paying off. Just as the roster battle in the Dodgers infield came to a conclusion with Luis Cruz and Josh Fields heading to the ‘Topes, another competition heats up out of the bullpen. Starting pitcher Ted Lilly, who has been on the Disabled List since the beginning of the season with neck stiffness, is set to start against the Padres on Saturday night. This means the crowded bullpen in Los Angeles will be forced to make a decision between relievers Jamey Wright and Josh Lindblom, and factoring in a number of variables, may send one down to Albuquerque. Trust me, we welcome the extra pitching. As far as stats go, Lindblom holds a quiet advantage over Wright after pitching four scoreless innings without allowing a single hit. The hurler also picked up his first Major League win on Opening Day for the Dodgers, and hasn’t slowed down since. As for Jamey Wright, the advantage may lie in the fact that his counterpart, Lindblom, still has two years of minor-league options. Otherwise, on paper the two pitchers are nearly indiscernible, posting almost identical stats through all of Spring Training and six regular-season contests. Same position. Same stats. Same first letter of their first name. It’s made for a daunting task for Dodgers skipper, Don Mattingly. More like, thanks, but no thanks. If Josh Wright, excuse me, Jamey Lindblom, (I did it again)… Josh Lindblom is sent to Albuquerque, the ‘Topes will fortify their shaky pitching rotation with a consistent right-hander out of the pen. 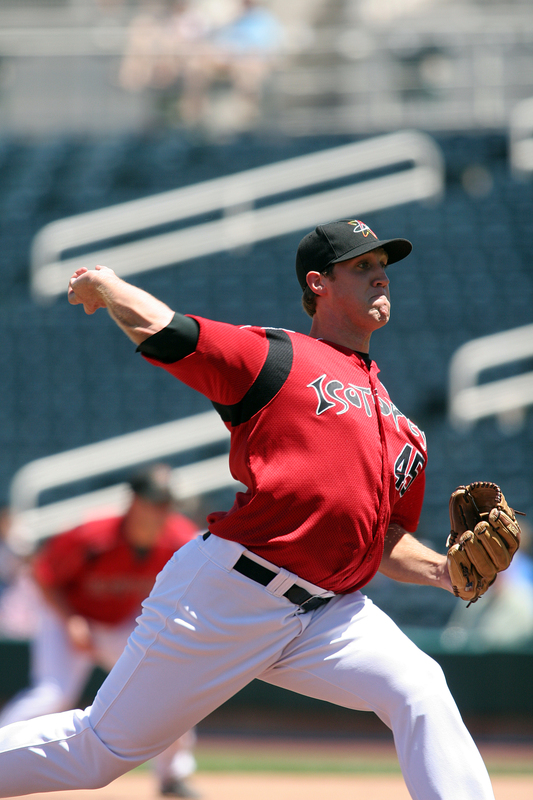 Lindblom has appeared in 134 innings with Albuquerque since the 2009 season, collecting a 5.37 ERA in the pitching obstacle of Isotopes Park. 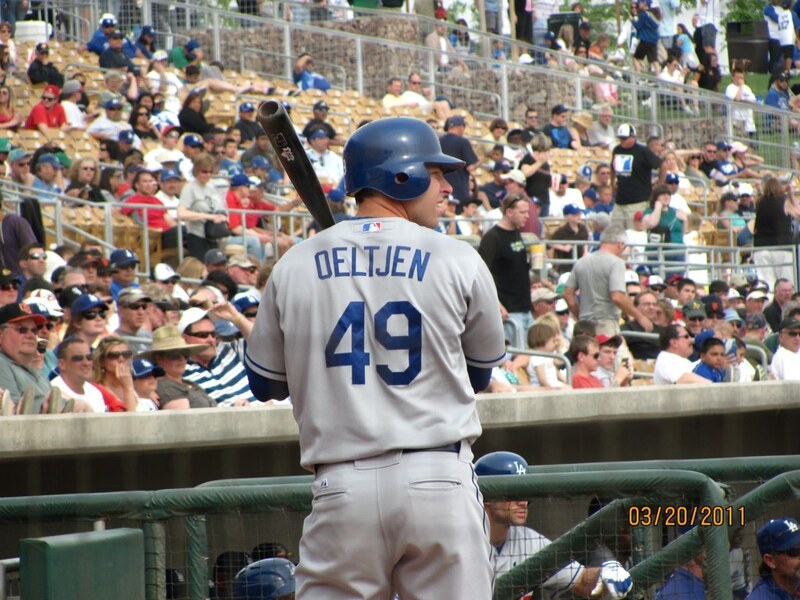 Not necessarily a dream job for the 24 year-old on the Dodgers’ 40-man roster. Still, knowing he’s on a day-to-day basis in the Dodgers rotation, Lindblom has taken the meaning of “team player” to a whole new level. Relief pitcher, Ramon Troncoso, has cleared waivers and will be sent to Triple-A Albuquerque to begin the 2012 season. Troncoso was originally designated for assignment last Thursday to reinstate Ronald Belisario from the restricted list. The reliever was out of options on his minor-league contract and had to clear waivers in order to return to the Dodgers’ organization. Troncoso got off to a shaky start in spring training, posting a 5.40 ERA through five innings pitched. He will likely continue his role of the previous few years, spending most of the season with the Isotopes while making a few, spot relief appearances with the Dodgers. 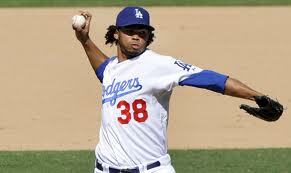 The left-hander looked like a promising reliever during the 2009-10 seasons under then-manager, Joe Torre. In a somewhat bittersweet situation, Torre relied heavily on the lefty’s arm throughout both campaigns, pitching Troncoso 73 times in 2009 and 15 times in a 21 game stretch during 2010. The heavy workload may have worn on the reliever’s arm as he hasn’t posted consistent numbers since the call-ups. Following his big league stints of two seasons ago, Troncoso has pitched 79 innings in the hitter-friendly confines of Isotopes Park. His 2011 highlights include tossing nine consecutive, scoreless innings during a six-game span last season, and earning 18 relief appearances with the Dodgers. 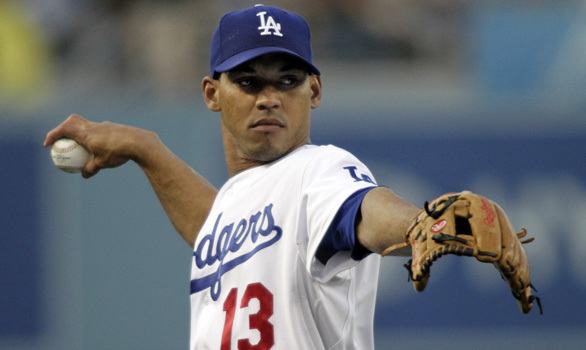 If Troncoso can return to “2009 form,” he could serve as a consistent reliever in both the ‘Topes’ and Dodgers’ bullpen. We thought it might be enough to hang on. When Jerry Sands stepped into the box Monday afternoon, facing a 3-3 tie in the bottom of the ninth, he had the chance to leave the stadium as a hero. Sands ripped a walk-off single to send the White Sox packing in a not-so-important spring training game. To the Dodgers, a walk-off hit is nice. To Sands, a walk-off hit can be the difference between Prime Rib in Los Angeles and Green Chile in Albuquerque. The game-winner also came in the wake of Sands’ nine consecutive hitless at-bats. The hit had the potential to give the infielder some of his confidence back, which up until Monday, came at a premium. Without putting the former Isotope to too much shame, Sands was hitting only roughly better than I am while I sit at my desk. You have to feel for the guy who showed such great flashes of potential last season when he hit .342 in 20 games during September for the Dodgers. Sands had tinkered with his swing a few times before posting those numbers, a sort of foreshadow to spring training. At camp, Dodgers’ hitting coaches (that’s plural, coaches — all three of them) each offered their own insight to perfect Sands’ swing. And Sands, a teacher himself, knows three different voices telling you three different things can lead to trouble. “You like to get help, and a lot of different people were trying to help,” Sands said.”But everybody is different as a hitter. I appreciate the help, and I love to listen, because I know I don’t know all of it. But I was up there thinking so many things at the plate, thinking about my swing and all that, and it’s tough enough already when you have that pitcher throwing 95 (mph). A classic case of over-thinking. Sands had initially entered camp with a legitimate, if not almost certain, shot at making the Opening Day 25-man roster. He has the ability to serve as a power-hitter for the Dodgers against lefties, but was never able to perform quite up to par in Glendale, Arizona. With those final words to seal Sands’ fate, Mattingly today announced he had optioned Sands to minor-league camp, most likely placing him in Albuquerque for the start of the 2012 season. From there, Sands has been told he may still figure into the Dodgers’ game plan at some point later this season. May I suggest walk-off to walk-off? For Dodgers catching prospect, Gorman Erickson, spring training isn’t as much about honing his skills as it is just figuring out how the whole process actually works. 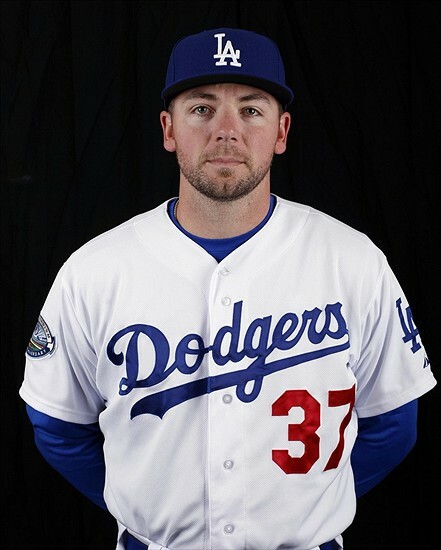 Gorman, or Griff, as he’s known around Dodger Town, is wrapping up his first stint at a big league spring training after playing as a professional since the 2007 season. 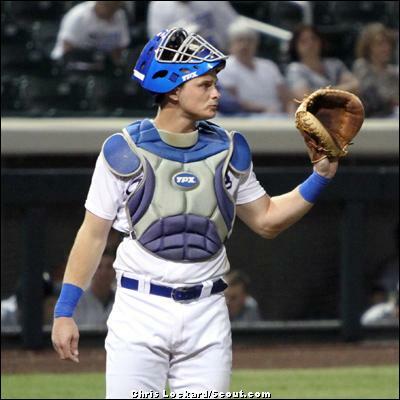 The catcher has already been reassigned to minor-league camp, where his eventual landing spot is still unknown. Luckily, finding an opening on the Dodgers starting roster takes a back seat to simply finding out where the camp-rookie is supposed to be on a day-to-day basis. Like how to approach your first at-bat when you hit the diamond in Glendale, Arizona? Griff didn’t get a chance to settle in for too long before the Dodgers gave him the expected news of playing in the minors. Erickson originally survived the first round on of cuts on March 15, but faced the inevitable reassignment almost halfway through spring training on March 18. That’s the kind of refreshing attitude found only in a player who’s happy just to be at spring training. Still, even after adjusting to the workout’s daily grind, Griff admitted the Major League learning curve is an eye-opening experience. 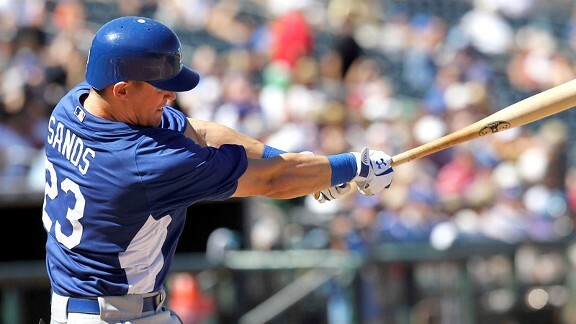 After being drafted in 2006, Griff signed with the Dodgers organization at the start of the ’07 season. He’s suited up for parts of three seasons in Rookie ball, two in Single-A, one in Double-A and a few games at the Triple-A level. This year’s spring training may serve as the eventual launching pad for Erickson’s MLB debut. “It’s a great introduction to what life would be like when you get called up,” Erickson told MiLB.com. “Coming to your first big league camp it’s all about soaking up all the information you can. Just being here for the short amount of time I have, I still feel like I’ve added a lot of things to my game. His question now becomes not IF he will be a part of the Dodgers organization, but WHERE in the minors he’ll actually end up. But to Erickson, that’s not really an issue. I’m scared to write this blog. I’ll admit it. I seem to have brought bad luck, bad at-bats and a bad spring training in general to anyone I spotlight in the ‘Topes Tattler. I’m sincerely sorry Jerry Sands (now batting .174), Justin Sellers (injured on March 19, and going 3-for-his-last-13 before) and Scott Van Slyke (hitless in 5 of 10 exhibition games). Please don’t hold it against me. So, to at least make myself feel better about all of this, I’ll blame the recent streak of terrible luck on the ‘Topes Tattler, and not myself. Fingers crossed, knocking on wood, rabbit foot in my other hand, witchcraft book open to any page but 13 — deep breath — here we go: Hello, Josh Fields. Anyone who is anyone knows about the final roster battle waging between former ‘Topes Jerry Sands and Justin Sellers, now also features another PCL player from 2011, Josh Fields. The trio is in a daily competition against each other, where every at-bat weighs as much, if not more, than all previous playing time in each prospect’s career. The winner to the Pro’s, the losers (though not really “losers” in our book) to the Isotopes. “We’ll see what the situation is day-by-day and do what’s best for everybody,” Colletti said. Given the nature of this year’s spring training, day-to-day is about as fair as any player can ask. This also means the last reserve, bench spot on the Dodgers 25-man will likely be decided within the next nine spring training games. Three players. Two at-bats a game. One roster spot. And one Curse of the Tattler. But as of recent, nonroster invitee Josh Fields has slowly begun to emerge as the likely candidate, hitting .385, second on the team to only Andre Ethier (.440). In fact, Fields credits much of his success at the plate to the point that he WASN’T a roster invitee this spring. Fields’ lack of notice from other teams may come from his decision to split from Triple-A Colorado Springs last season, to finish out 2011 overseas for Yomiuri in the Japan Central League. Playing the corners of the infield for the Giants, Fields appeared in 50 games while hitting a lack-luster .202. That’s the kind of numbers that cause coaches to hesitate when offering a new contract, especially when they’re unsure of a player’s loyalty to staying in Major League Baseball. However, Fields was eventually offered, and signed, a contract to play in the Dodgers system, most likely beginning the season in Albuquerque. Now that overseas ball is a thing of the past, Fields insists he’s here for the long-run. Hitting .385 in 15 games (tied for most on the team) is a good start for Fields. As is playing enough positions around the diamond you’d think the Dodgers had six guys named Josh Fields. An all-around utility fielder seems to be the go-to route for this final roster position. Between Fields, Sellers and Sands, the nonroster invitee is beginning to stake out a small advantage with his versatility. He’ll be able to fill-in across the field, which in-turn will likely create a few more at-bat opportunities as spring training comes to its conclusion. And although his recent tagline may read “Made in Japan,” Fields assured the entire organization that he wants to be here, battling it out for the last roster opening. I just hope for curses’ sake, he doesn’t read this. The Dodgers made further progress towards setting their opening-day 25-man roster with a second round of cuts on Sunday. Eight players in total will put their Major League dreams on hold for now, seven being assigned to minor league camp and one pitcher, Alberto Castillo, being released by the Dodgers. The club has now reassigned 16 prospects to minor league camp, which runs from March 18-30. For now, former Isotopes Jerry Sands, Justin Sellers and Ivan DeJesus Jr. still have a chance to earn a roster spot for Opening Day. However, DeJesus left last Saturday’s game in the seventh inning after pulling his left oblique muscle. The middle infielder complained of discomfort on his first swing of the at-bat, and is awaiting results of Monday’s MRI to know the extent of the injury. Either way, it’s a safe bet Isotopes fans will greet DeJesus with a warm welcome if he’s back in Albuquerque again this season. Big league roster experience or not. It’s becoming increasingly difficult to sift through Dodgers Spring Training headlines without seeing a mention of Justin Sellers. Thrown into the mix of three new free-agent infielder signings this offseason (Mark Ellis, Jerry Hairston and Adam Kennedy), Sellers needs to continue to make the most of his opportunities to stand out from the pack. And it certainly doesn’t help that his three competitors have appeared in over 1,000 Major League games each, compared to Sellers’ 36. Which Sellers is consistently doing this spring, ranking seventh in overall batting average — In the entire National League. Through seven games with the Dodges in Spring Training, Sellers has ripped a base hit in five of his 13 at-bats, posting a solid .385 batting average. The utility fielder also lifted a three-run home run in a pinch-hit situation Monday against the Angels. Unfortunately, power hitting isn’t exactly what the Dodgers are looking for from Sellers, as Manager Don Mattingly expects a more balanced approach at the plate. Try telling that to Sellers, who’s belted 14 home runs in each of his last two seasons with the Isotopes. Even with his strong start, most still consider Sellers a long-shot to make the opening-day roster, largely due to the long list of Dodgers veteran infielders. This leaves a single reserve spot to come down to a friendly battle with fellow Isotopes teammate, Jerry Sands. Both have drawn attention in the first half of Spring Training, but Mattingly seems to be leaning towards keeping Sellers while sending Sands back to Albuquerque. Despite such news, Sellers knows he must continue to adapt his game (specifically avoiding fly outs) if he wants to become an everyday player in the big leagues. This also comes on the back of the Dodgers bringing in three players, who, in their attempt to earn a starting role, will try to keep Sellers in Albuquerque. And also keep the ball down in the process.